Mint is naturally soothing to both your mind and body, with proven health benefits for your digestive tract, allergies, and anxiety. And on a hot summer day, an ice-cold, mint infused water is like a blast of cool air for your entire body. This recipe combines fresh mint (which is typically spearmint in the US) plus peppermint or mixed mint tea for added flavor. 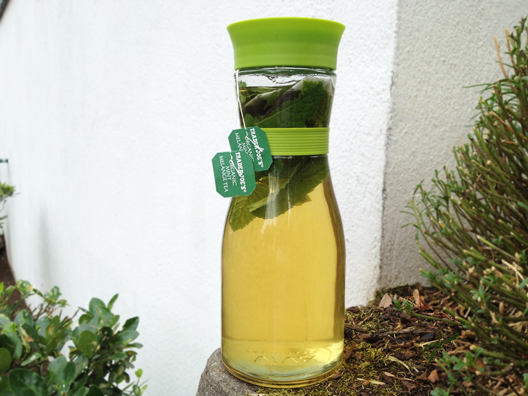 Recipe for a 46 oz carafe: 10 hand-torn, fresh mint leaves + 2 bags of mint tea, preferably peppermint. Pour room temperature water over the ingredients and let steep for 1 hour. 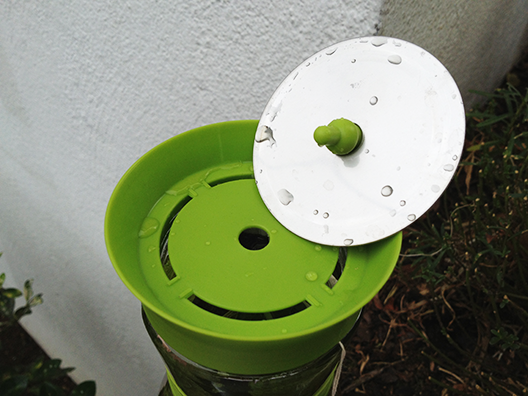 There is no need to use hot water; the tea will release its flavor in room temperature water. After steeping for an hour, strain and serve over ice. 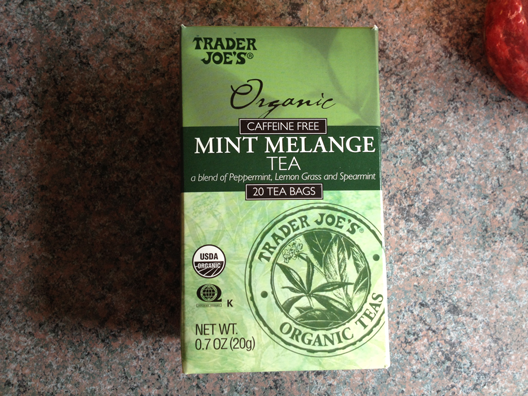 I am using Trader Joe’s Organic Mint Melange for this recipe, but any herbal mint tea will work. The Tag carafe I am using for this recipe has a nifty strainer built into its lid, and I always use this carafe for taking this water to summer parties because it’s cute and convenient. 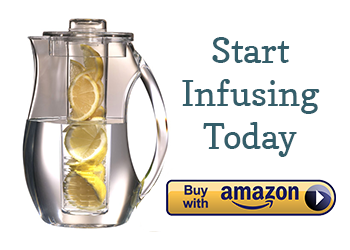 IMPORTANT: do not let this infused water steep for too long. It becomes too minty, plus the mint leaves bruise quickly, as you can see below. I have numerous mint plants that grow profusely and I wasn’t sure what to do with all of them. 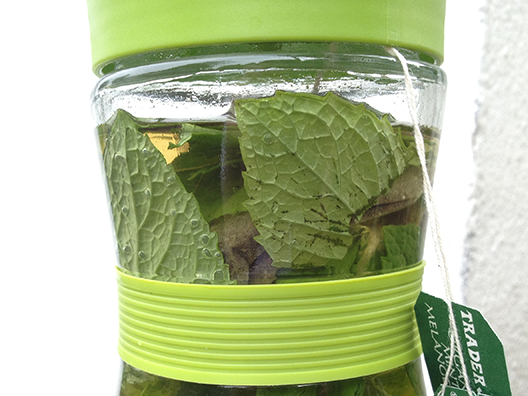 Mint infused water is a good use as I am a bicycle rider (18 miles yesterday) and I could take this water with me. I placed a good amount of bruised fresh sweet mint leaves into a large pitcher container and covered it with over a gallon of spring water and placed it in the refrigerator. I let it keep on steeping and did not remove the leaves for more than a week. It was so delicious and a real thirst quencher.